Floor buffer is a must have wood floor tool - Why? This hardwood floor machine is the most versatile machine compared to all of the other hardwood flooring machines. This does not mean you do not need a drum sander or edger. You very much still need these important hardwood floor sanding machines for your rough, medium and final cut. 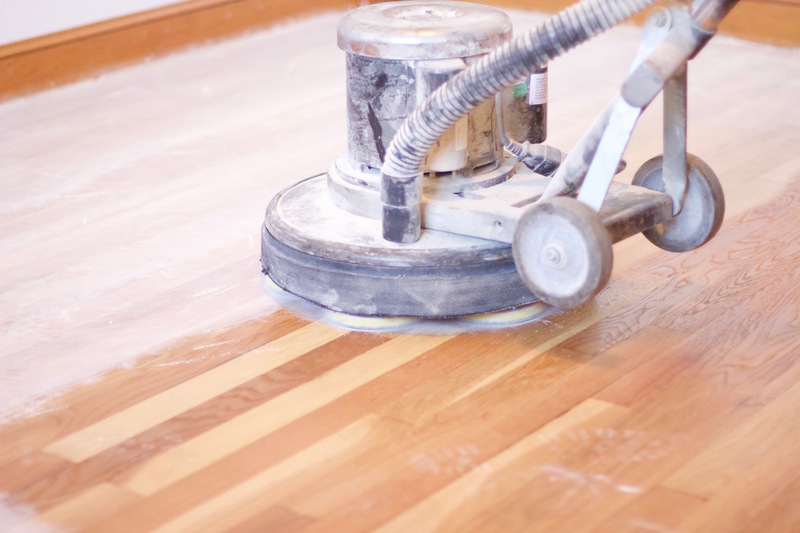 A floor buffer is more than a machine that does the final sanding. Aside from a final sanding, you can use it for grinding, adhesive removal, flattening a wood surface, wire brushing, in-between coat abrasion, cleaning, waxing, polishing, stain and finish application. As you can see there are many uses for this hardwood floor sanding machine. There are tons of after market floor buffer parts and attachments available today. You can do a google search. I am sure you will find what you need, for your category of work. You can get concrete prep tools, wood texturing, cleaning attachments, hard plates, multi-head sanding plates, etc. There are weight kits available for those light weight floor buffers and Water/shampoo tanks for janitorial work. Why would you even need all these attachments? After all you're only working with hardwood floors. Read along and find out more. 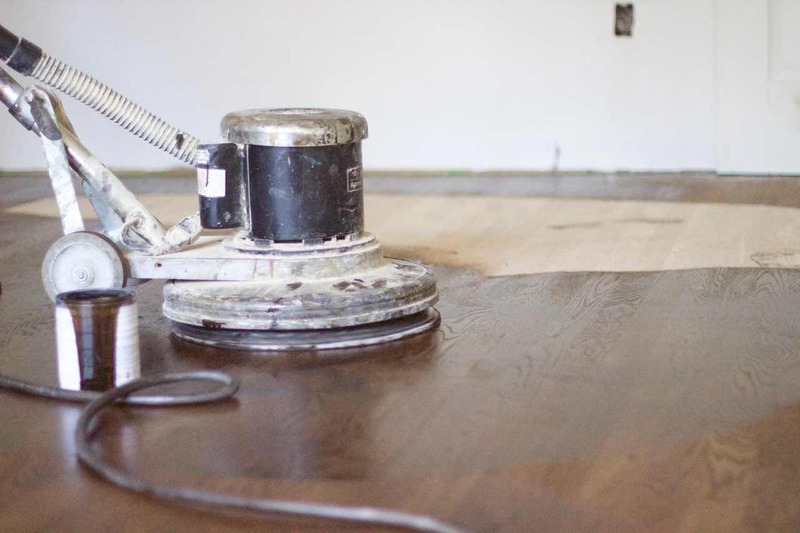 Using a buffer to remove polyurethane adhesive as part of a subfloor preparation. 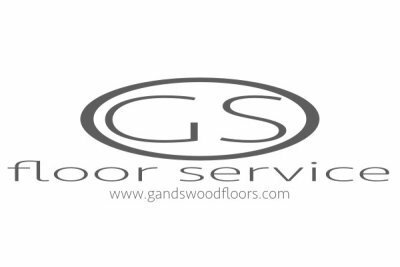 If, you need to prepare a concrete subfloor for grinding or a hardwood subfloor for refinishing by removing dried flooring adhesive. You can use a scarifying tool to cut away adhesive up to 1/4" thick. You can also, use a scarifying tool to remove epoxy finishes. 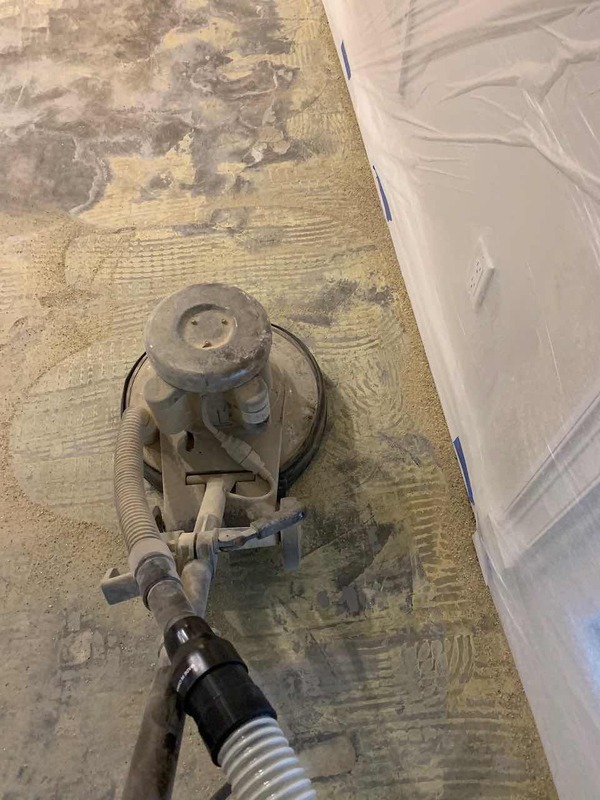 Flattening a concrete slab using a floor buffer. 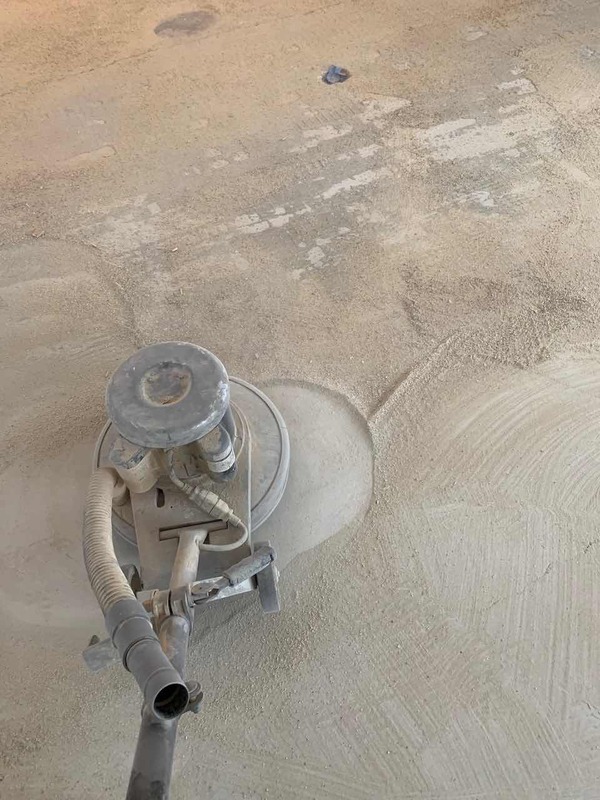 If, you need to prepare your concrete slab for skim coating, leveler, a floating or glue down installation. 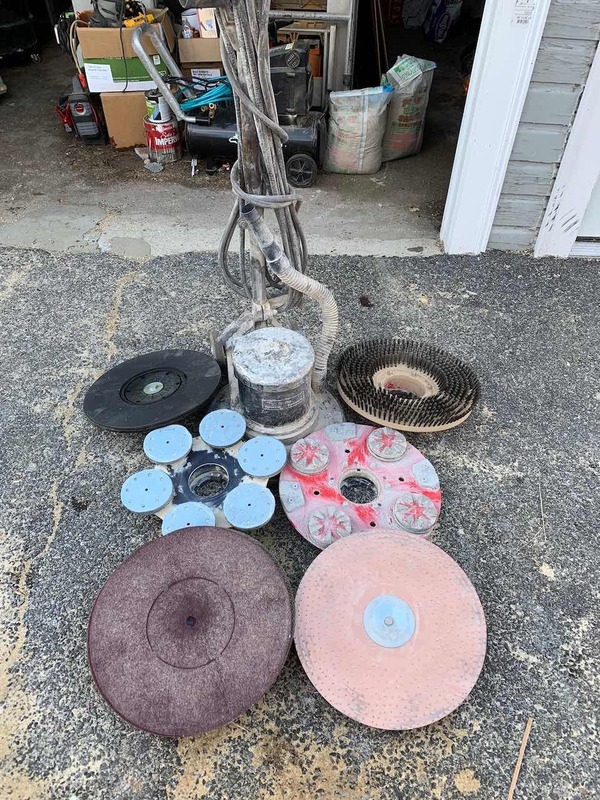 Be sure to choose the proper type of grinding heads for those tough aggregates. There are diamonds available for fast deep cuts to polished finishes. Wet grinding will help keep your diamonds cool, long lasting and dust free, if, you don't have a fine dust containment system. There are water tank attachments for wet grinding. And weight kits for added weight to your light weight floor buffer. 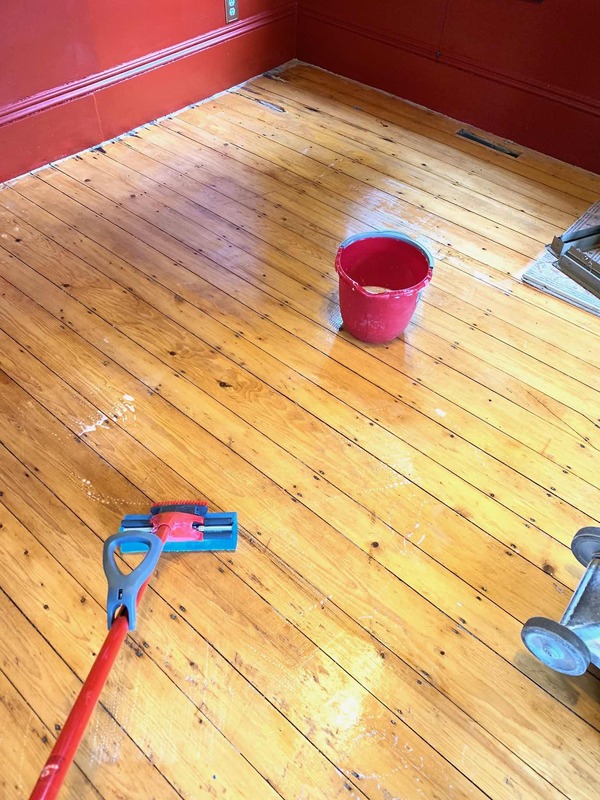 Using a floor buffer for deep cleaning. Doing a screen and re-coat? Use a floor buffer for the deep cleaning required prior to screening to remove oil, wax, dirt and residue build-up. This will help prevent clogged screens or sandpaper. Making it, an easy abrasion process. Using a buffer to maintain an oiled finish with Woca's maintenance oil. Floor buffers can be used to apply floor finishes such as wax, natural oils and hard wax oils. Floor buffer pads and specialty cloths are used. Always soak your pads and rags in a bucket full of water, before safely disposing it, to avoid combustion. Applying wood stain using floor buffer. Bad back, shoulders and knees? Your body will thank you, when you use a buffer to apply your wood stain. Having to stain several thousand square feet on your hands and knees can get tiring and labor some. 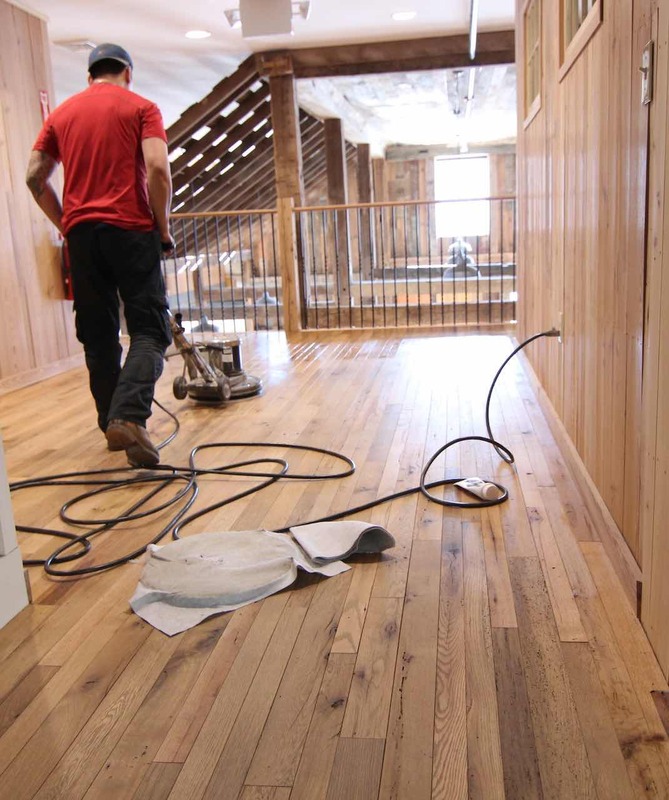 Speed things up and cut down on labor and avoid the aches and pain by using a floor buffer. Easily wipe-on and wipe off with a couple of floor buffer pads. With the right tool, you can rapidly abrade your polyurethane finish. 3000-5000 square feet, no sweat! Whether your preference is a maroon pad with sanding strips, sand dollars or a multi-head with. With the right buffer pads and minerals. Lower the risk of adhesion failure and get smooth finish. You can rapidly do in-between coat abrasion. 3000-5000 square, no sweat! You can also, use your buffer for your final sanding prior to applying your first coat. Use a multi-head to flatten, remove drum and edger marks. Blend edges and the field for a flawless surface finish for staining. You can use a buffer with a hard plate attachment, such as a multi-head to sand your subfloor prior to installation. To help flatten wooden subfloor panels or remove coatings from Advantech high performance subfloor panels for a glue down installation. 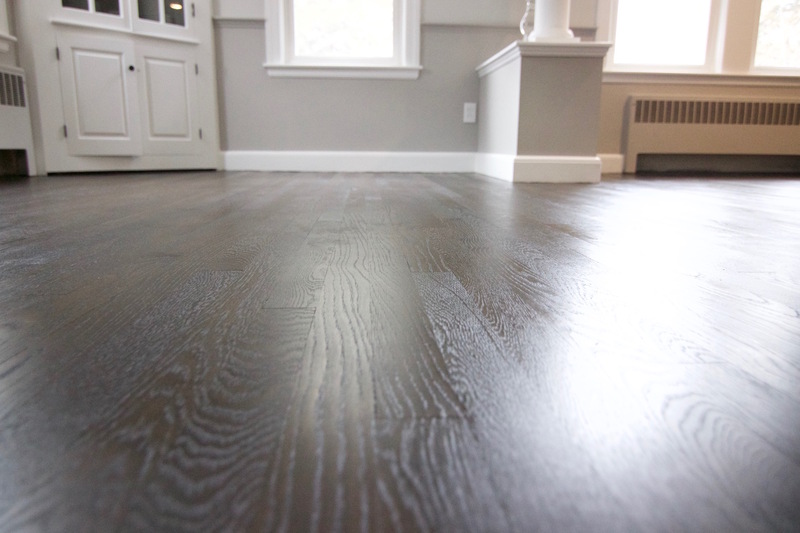 Enhance the look of your wood floors by wire brushing for a distress floor. You can lightly wire brush or do a deep wire brush to give your wood floors a unique look and feel. There are wire brushes available at different lengths and material. For a deep wire brush texture, use a disc with shorter stiffer brushes. Why not use a buffer? Don't know how to use a buffer? Click this link here to learn how to use one.